Hungary’s Prime Minister Viktor Orbán has said that the policies of “liberal” forces in the European Union will divide the bloc into an increasingly Islamic west and a traditional European-Christian east. Making his first address to the media of 2019 in Budapest on Thursday, Prime Minister Orbán said his country’s objective is to ensure anti-mass migration forces become “a majority in every EU constitutional system” in May’s European Parliament elections, to combat the “progressive” open-borders policies driving the bloc’s current direction. “Liberal thinking in Europe is the main enemy of freedom. 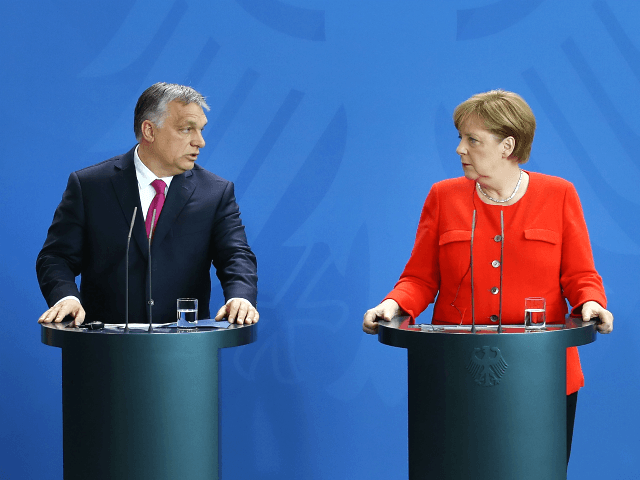 Liberals today are the enemies of freedom in Europe,” Mr Orbán explained. “Instead of one unified civilisation, there will be two civilisations in Europe. There will be a mixed civilisation, which builds its future on a mixed Islamic and Christian co-existence. “In the next 15-20 years, as well, migration will be the most important question of fate on the continent and, within that, Hungary,” he added. The Hungarian leader, who won his third consecutive term in office with a parliamentary super-majority in April 2018 after running on a campaign of securing borders and supporting families, made the comments as the bloc prepares for the European Parliament elections, whose composition could influence the European Commission and other institutions. The conservative hopes that a coalition of right-wing and populist parties will win major gains in the May elections and turn the direction of the globalist European Project away from open borders and so-called progressivism. Orbán had already met with Matteo Salvini to discuss their own collaboration in the summer, agreeing to form a populist front to challenge German Chancellor Angela Merkel and French President Emmanuel Macron and their vision of a United States of Europe. Merkel and Macron agreed on Wednesday that later this month they would sign a historic treaty to, in effect, merge aspects of the two countries by creating “Eurodistricts” in border towns, share defence, and foreign and economic policy, in a prototype of a “sovereign Europe”.